- Taking fry and sprat with a fry or cast net is permitted. NOTE: fish traps, spear guns, pole spears and seine nets are totally prohibited. 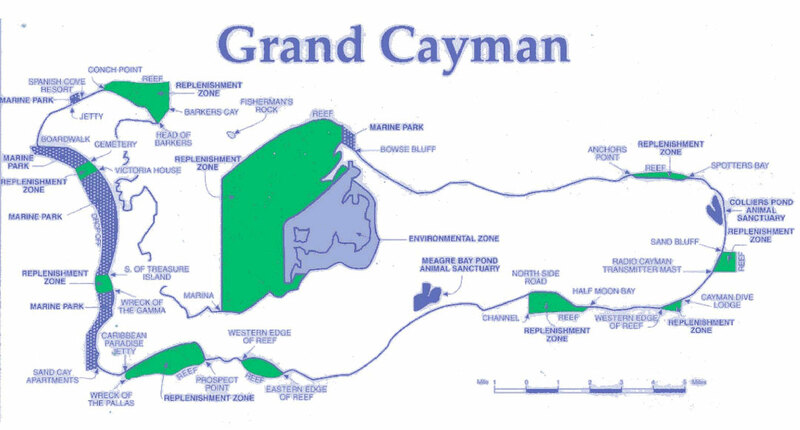 -Bloody Bay, Little Cayman - Special restrictions have been placed on the use of the Bloody Bay Marine Park: no commercial operations may use the park without prior permission from the Marine Conservation Board. - No in-water activities NOTE: Line fishing, fish traps, nets, spear guns and strikers are totally prohibited. NOTE: These zones include the outside edge of the reef to a depth of 20 feet. 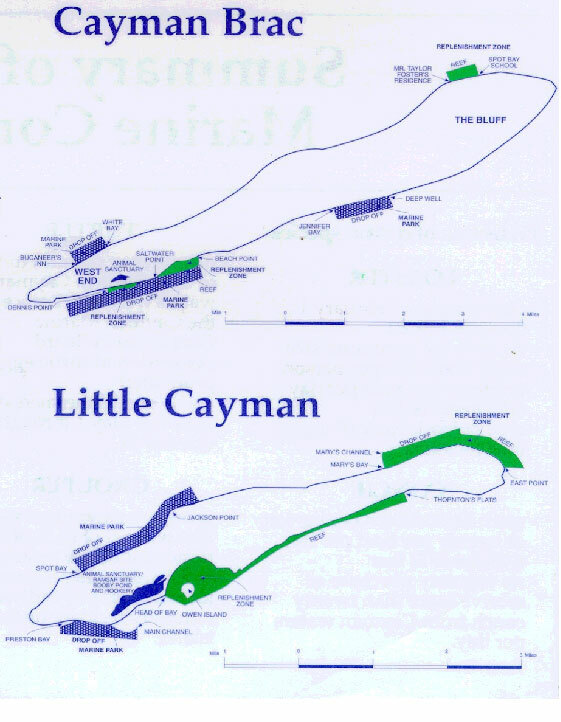 - East and West End of Cayman Brac, Little Cayman and Twelve Mile Bank. Coxswain Bank and South West Point Grand Cayman. - No fish pots or spearfishing within one-mile radius of Designated Grouper Spawning Area from November 1 through March 31. Public moorings are located around each of the islands to reduce anchor damage to coral. These 18 or 30 inch white buoys may be identified by their blue stripe and yellow pick-up line and may be used free of charge. The smaller buoys are designed to hold vessels up to 60 feet long and the larger buoys are for vessels up to 100 feet. Where possible, please tie up to a buoy instead of anchoring. It is an offence to anchor so as to damage coral anywhere in Cayman waters. Please limit your use of the mooring to 3 hours or less. It is the responsibility of the boat operator to ensure that the mooring is in safe condition - do not leave the boat unattended while on the mooring. 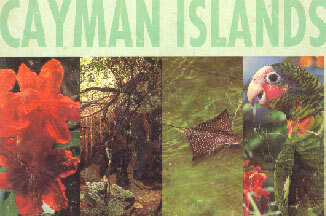 Marine Park Rules and Information courtesy of the Cayman Islands' Department of Environment with many thanks.